In a novel vehicle handover, Thompson Commercials and Boniface Engineering created a simulation recovery scenario to deliver Tech Trucks UK’s new Renault Trucks Range D at the Professional Recovery Tow Show at the Telford international Centre (7th-8th September 2016). 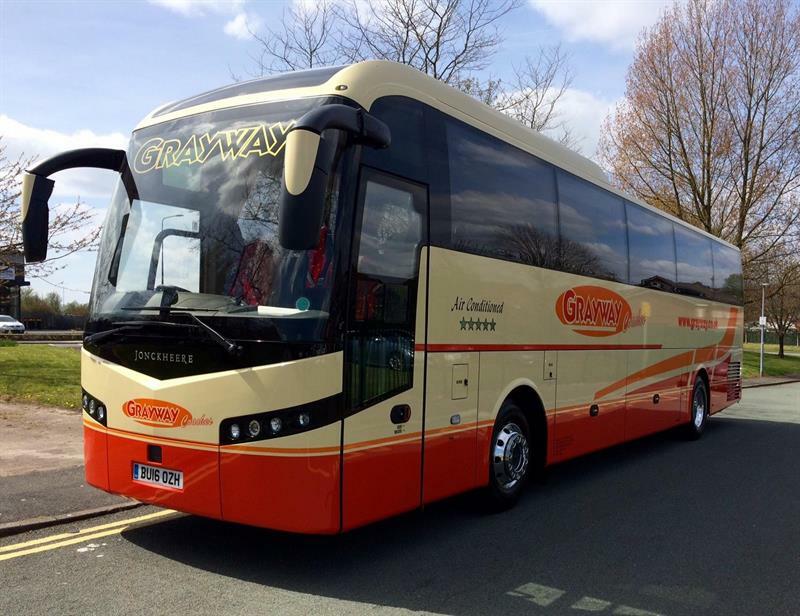 Grayway Coaches has taken delivery of a second Volvo B11R Euro 6 coach, after being impressed by the fuel economy and features of its first B11R. Ford was the UK market leader in total vehicle, car and commercial vehicle (CV) sales in September. Ford achieved its highest September CV volume on record with over 20,000 registrations. Whale Tankers has signed a deal with US water jet tooling manufacturer StoneAge for the distribution of its Warthog rotary jetting nozzles for sewer applications throughout the UK and Ireland, as well as in the Middle East and India. Award-winning tipper haulier Mick George has placed its first order for Mercedes-Benz trucks – including the first Mercedes Econic construction vehicles for use outside London. Tipper Haulier of the Year Mick George Ltd has further enhanced its impressive safety credentials by commissioning the first Mercedes-Benz Econic construction vehicles for operation outside London. Award-winning Wrights Design House prides itself on the quality of its luxury kitchens, and enjoys the same combination of exceptional form and function from its Mercedes-Benz vans. A new ‘66’ plate Volvo FL-250, 4×2 rigid dray-wagon has joined the nine-strong fleet of Manchester’s leading, independent family brewer, Joseph Holt Ltd.